It’s our monthly round up of the most popular posts on the site. Subscribe to get our newsletter in your inbox. 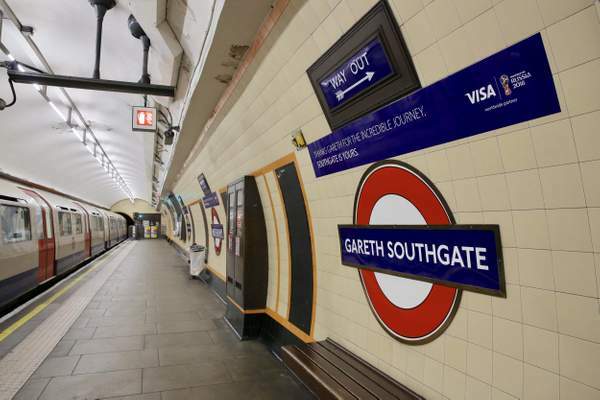 Visa rename Tube station in honour of Gareth Southgate. 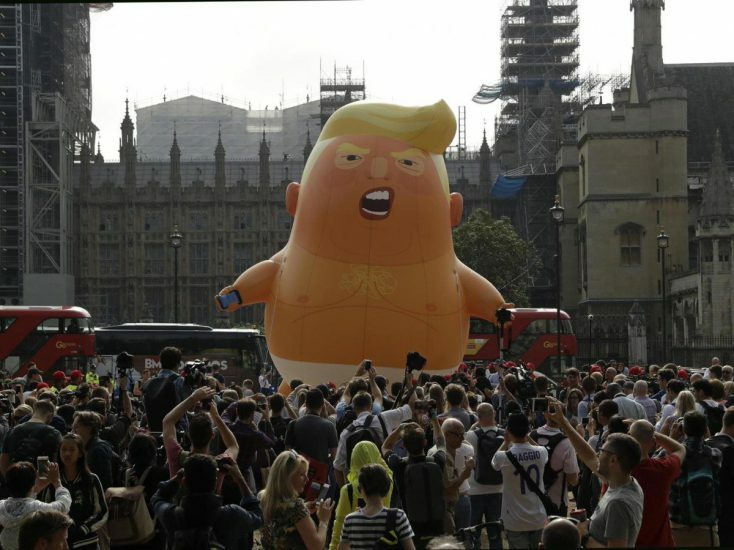 In preparation for his arrival, brands and citizens of the UK came up with some creative ways to greet the United States leader. 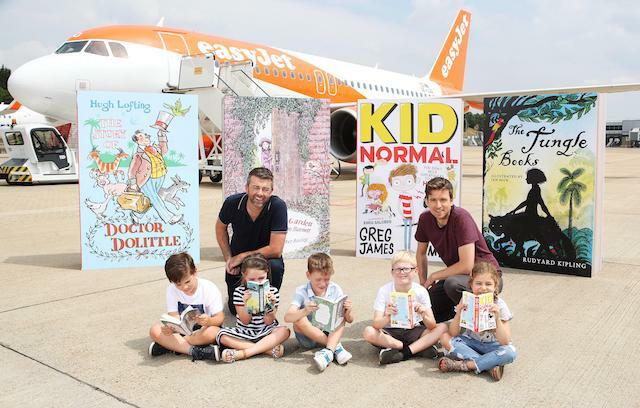 EasyJet stocks planes with 17,000 children’s books to help encourage reading over summer holidays. 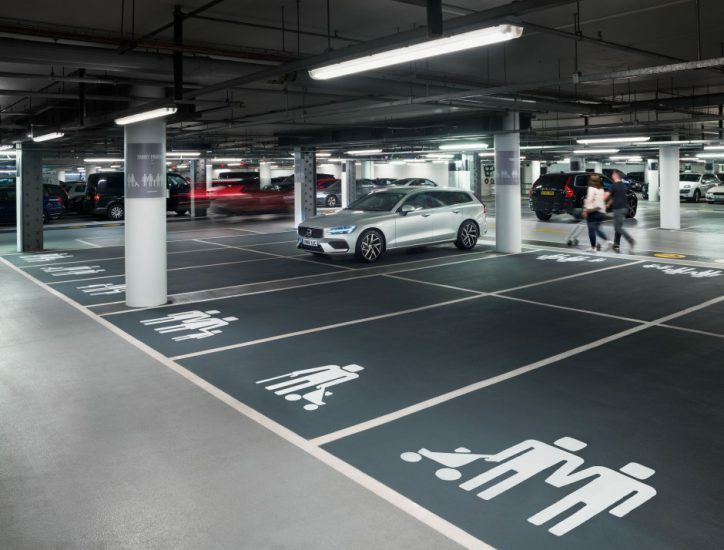 Volvo have redesigned the traditional family parking space icon to mark the launch of the Volvo V60 family estate car. The new signage, installed at Westfield London, looks to celebrate the diversity of modern families. A print ad campaign – that delivered huge social sharing. The campaign by office equipment giants Stabilo Boss (quite literally) highlights the role of women in history. 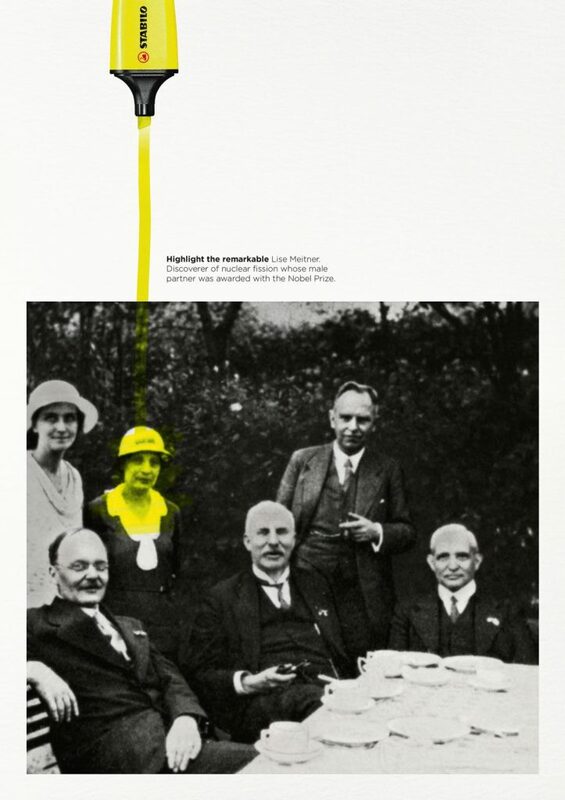 The ‘Highlight the Remarkable’ campaign consists of a series of images where women in history, whose achievements have previously gone relatively unnoticed, have been highlighted with the brands signature yellow highlighter. It’s been quite a month for GIANT builds. To mark the 25th anniversary of Jurassic Park, streaming service NOW TV has unveiled a Jurassic-sized sculpture of the film’s heartthrob Jeff Goldblum, in front of Tower Bridge. 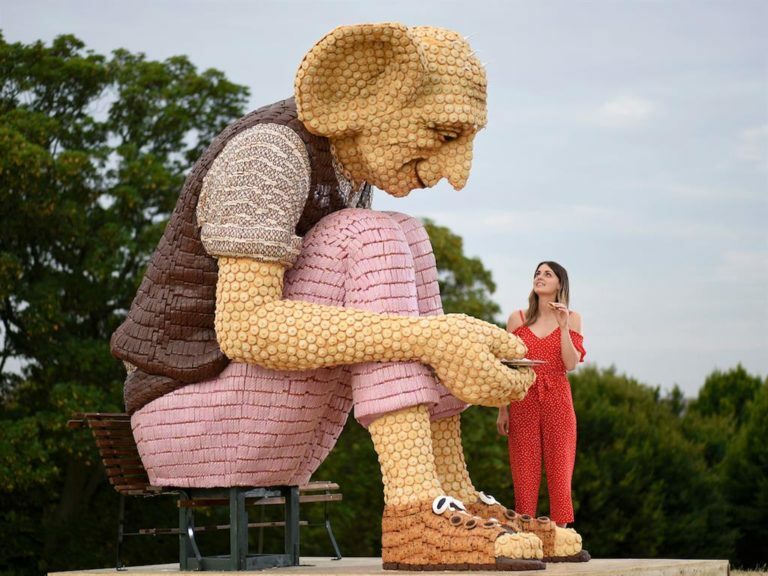 Cake makers Mr Kipling, revealed a 24ft edible version of Roald Dahl’s BFG , using 7,500 treats from their new BFG dedicated range. Hunter is celebrating its iconic Original Wellington model in the form of a giant hot air balloon. The 120-foot hot air balloon will tour the world appearing at festivals, sporting events and outdoor shows. 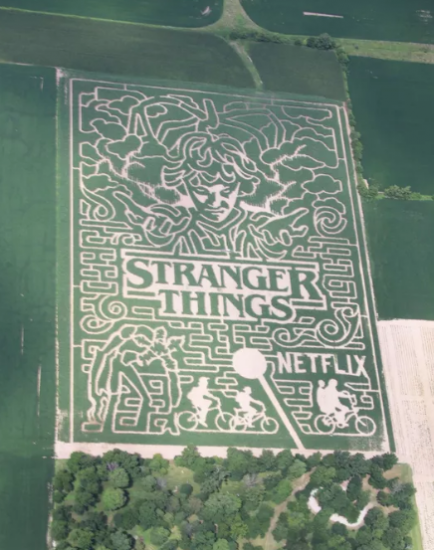 A corn maze and pumpkin patch in northwest Indiana, has created an immense Stranger Things themed maze viewable from the air. 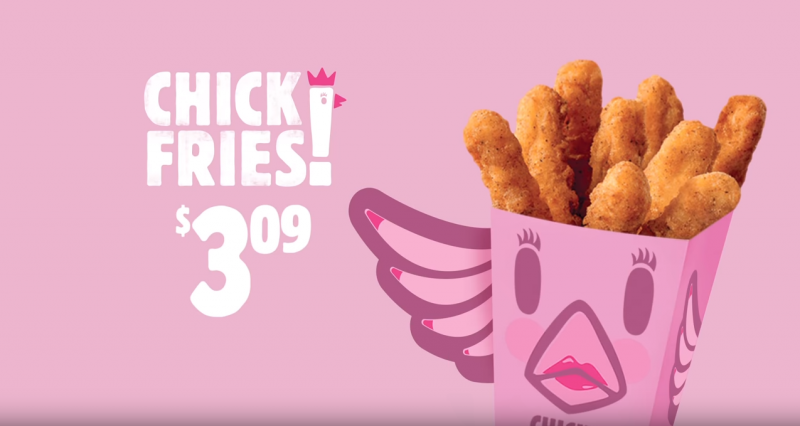 In a bid to prove how ridiculous the pink tax is, Burger King served female customers their chicken fries in a pink box this week and then asked them to pay more for this packaging. As expected, customers were outraged by the request and outright refused to pay. 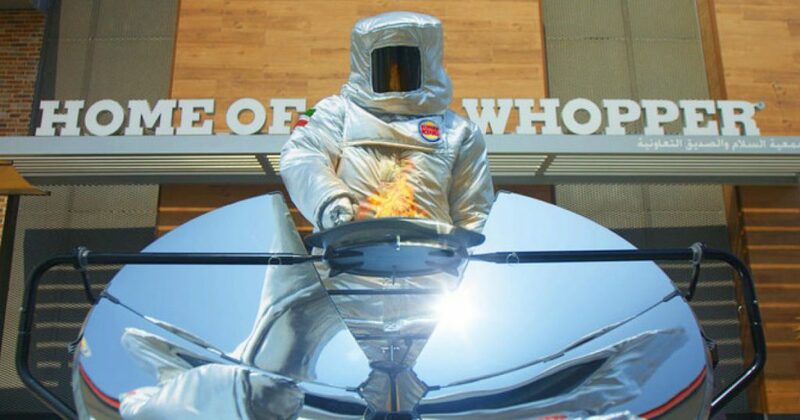 Meanwhile Burger King Kuwait is taking advantage of its status as being one of the hottest places on Earth by using the raw power of the sun to cook Whoppers whenever the temperature surpasses 122 F.
Want to watch 5000 biscuits falling over? Of course you do! 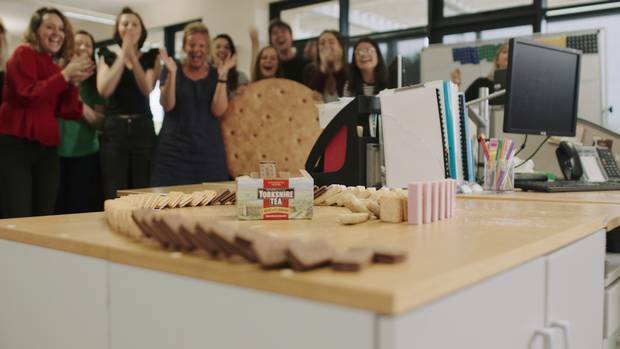 Staff at Yorkshire Tea put together an epic domino run using 5,000 biscuits – including pink wafers, Bourbons, custard creams and Jammy Dodgers . The North Face, the American outdoor brand, has always boasted about providing products for the most active. 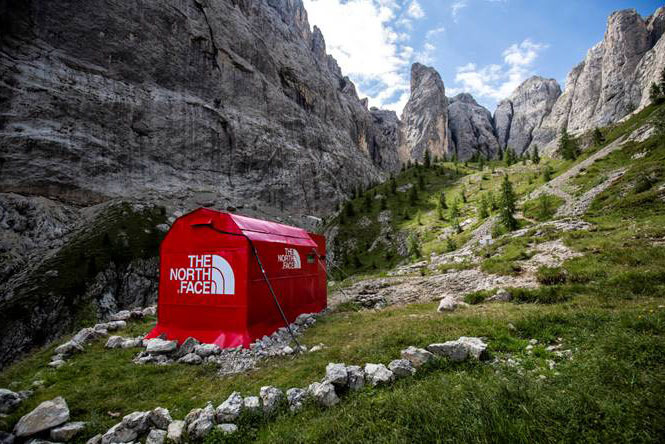 Not surprisingly then, they are still hoping to get some customers visiting their new pop-up store located in the Italian Dolomites at 2100 meters high. Australian stand up comedian Celeste Barber has amassed four million Instagram followers with parody posts that contrast celebrity instagram with her real-life reenactments. Now she’s been hired by Royal Caribbean cruises to reenact as many onboard activities as she can, on dry land, in one day for this very funny ad. 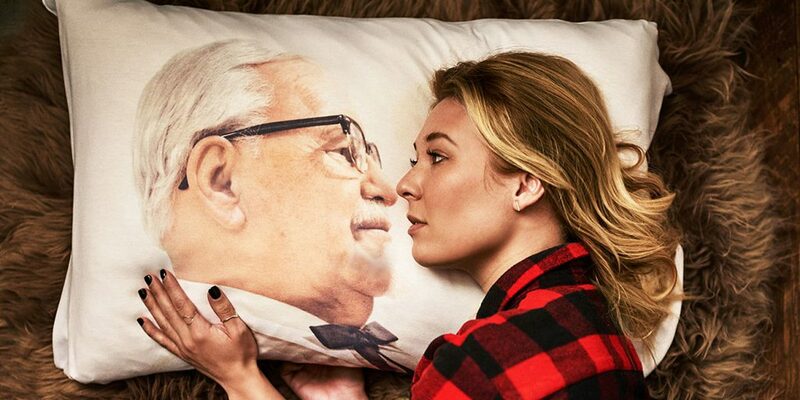 Brand Analysis: Why are KFC’s marketing stunts are so FCKing good? 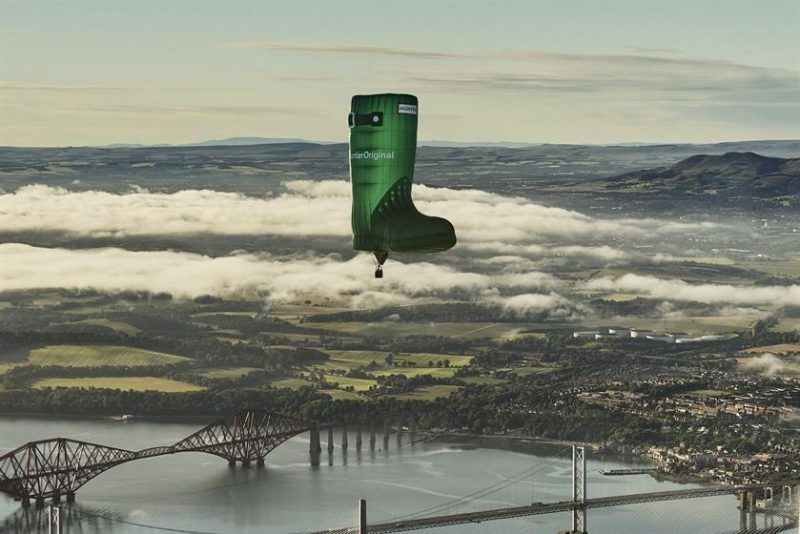 Over the past two years KFC have been innovating their way into the news cycle – with an ongoing programme of creative PR activations that ensure the brand is front of mind with customers – week in week out. Seen anything good – please send us your tips – or blog for us.